Are you a candidate interested to work in the NF Railways Medical field? Here is a great opportunity for you to work on it! NF Railways Medical has opened the vacancy for the recruitment for the posting of Medical Practioner for filling vacancies of 04 vacancies. You will be eligible if you lie within the age limit of 67 and have an interest in service. The selection process will be based on the written exam or interview. The interested and eligible candidates need to appear for the interview on the mentioned address with all the necessary documents in original and attested copies of the photocopy. Make sure you carry all the required documents in original when you do not have them you may not be considered valid and may not appear for the process. Also, stay updated with the official website to know the details of the recruitment and also for the upcoming recruitments and job vacancies. 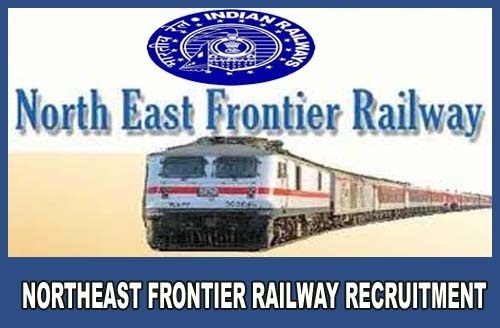 Step 1: If you are interested in applying for the North East Frontier Railway Recruitment 2019, you may visit the official website and look for the information from the official notification and read them completely. Step 2: You need to check for the eligibility and other required information about the job. Step 3: When you are interested and eligible for the job you may appear for the walk-in-interview scheduled on 29th April 2019 at 10.00 AM at “Chief Medical Superintendent, N. F. Railways, Alipurduar Junction – 736123. Step 4: When you go for the walk-in interview it is necessary to carry all the required documents with you. That includes copies of all certificates/testimonials in original and attested true copies with a couple of passport size photos. Make sure all of them are true if there is any wrong information or certificates there can be strict actions taken against you. Selection for the post of NF Railway Medical Practioner Recruitment 2019 will be based on the performance of the candidate in the written exam or interview. The mode of examination will be announced by the NF Railway recruitment team.